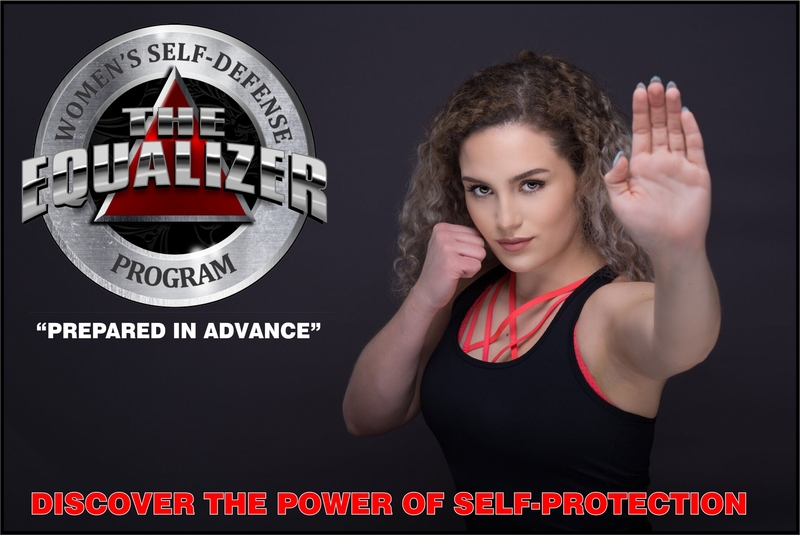 Equalizer Women’s Self-defense Program (EWSP) is a division of SSGT Defensive Tactics for law enforcement. This program educates women about how to recognize and reduce their risk of being victimized by violent crime and property crime and how to defend against, survive and escape a physical attack. Many of the self-defense techniques of the EWSP are derived from our highly successful law enforcement self-defense program. The techniques of SSGT are currently being taught to thousands of officers in various states and have been responsible for saving officers from severe injury and death in the line of duty. Our techniques have been proven to work when it counts. The EWSP Student Course, corresponding with the EWSP handbook is for women, and teen girls. The handbook is divided into three chapters Personal Safety; Residential Security and Self-defense. The first two chapters may be covered in four hours. The third chapter, Self-defense, is divided into four phases. Each phase is four hours in length. A certificate of completions may be given to participants successfully completing any portion of the program. Students must pass the open-book written exam to be eligible to receive a Certificate of Completion from their EWSP Instructor. These courses are taught primarily by law enforcement officers who have been certified as EWSP Instructors. Check with your local law enforcement agency to see if they have an EWSP Instructor on staff. If they do not, recommend that they get one. When it comes to safety and security, education is the first and most important step. The goal of an EWSP Instructor is to give women the critical personal safety, residential security and self-defense information and training they need to avoid, survive and escape dangerous situations. We believe every woman should be “Prepared In Advance”. This course prepares law enforcement, corrections, security and education professionals to teach the EWSP to women in their communities. This course requires eight (8) hours of training for Certified SSGT Vanguard Level Two Instructors and 40 hours of training for those who are not SSGT Instructors. safety, residential security and self-defense at a young age. There are no warranties or guarantees with this program, whether expressed or implied. No warrantees or guarantees accompany the information, techniques, tactics, methods or the printed materials distributed. Consult your doctor before participating, or attempting any exercise or technique presented or taught in any Equalizer course, school, seminar, class or any other program. shoes, the students must walk onto the training mats and be certain that their shoes will allow their feet to turn freely on the mat. If a student’s foot sticks to or grips the mats tightly they must remove their shoes before participating in any class to prevent injury.